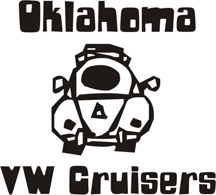 Oklahoma Vw Cruisers • New Guy looking to buy vw project. 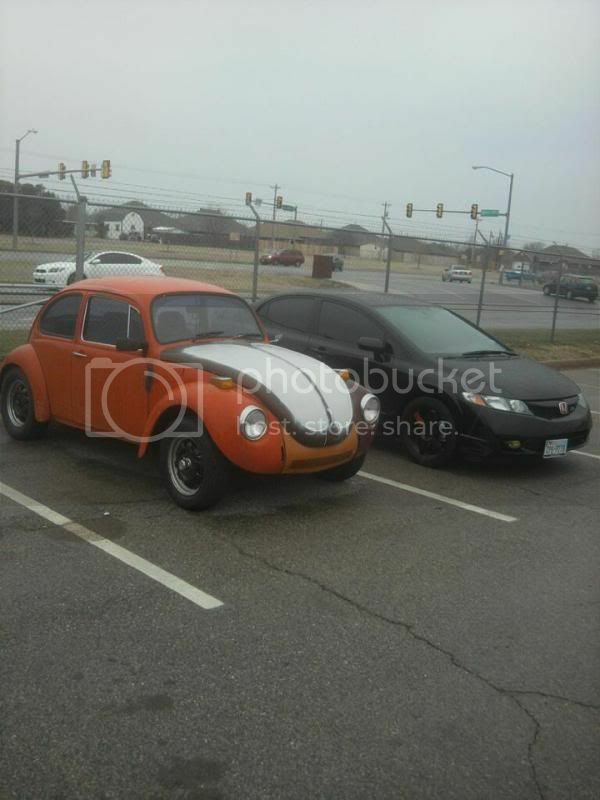 I'm new to vw scene, but I'm looking to buy a vw beetle for a project car. I've always wanted one ever since I was little and I'm finally at a point in my life where I can afford it. I've been constatly looking at craigslist and other websites, but they either don't have what I'm looking for or don't respond to me. I would prefer it be a 1960-1974 hardtop. I need it to be able to run because I live in the dorms on Tinker AFB and I really have no way to tow it around. The price range I'm looking would be around 3,500 or less. Anyway, hopefully I can find a car and come out to some meets. Re: New Guy looking to buy vw project. Didn't realize there was a wanted section sorry. Haha guess not everyone likes bugs. Well I found my project car. It's a 72 super beetle with a 73 motor. It has a recently rebuilt motor, new heads, clutch, brakes, and a few other new things. It has ran great so far and eveything works. Here's a crappy cell phone pic next to my other car. Around here rebuilt means new rings and spray painted tins. Thanks. I'll probably need some advice later on as I build on this. For now I just want to replace the trunk lid and hood and do some minor engine things like sparks plugs, wires, filters, ect. I think the first big thing I want to do is find a shop that can weld in some new floor pans. The car's body only has some minor surface rust, but the pans definately need to be replaced at some point. The hood is straight, but for whatever reason the last owner pretty much coated it in bondo and it's all starting to chip and a chunk is missing in the front. I may take you up on that hood if it's in good condition. Send me a PM when you want to take a look at it. Its in great shape, an aftermarket hood that I had on a car for a while, but replaced with an original one I ran across. I'll let you know if I want it soon. I'm doing some body work and repainting the car so I'll let you know if I can't get my hood to look right.